A dainty Victorian looking pin with many variations. This is a combination of bead embroidry with a ruffled peyote edge. Make 2 for earrings. 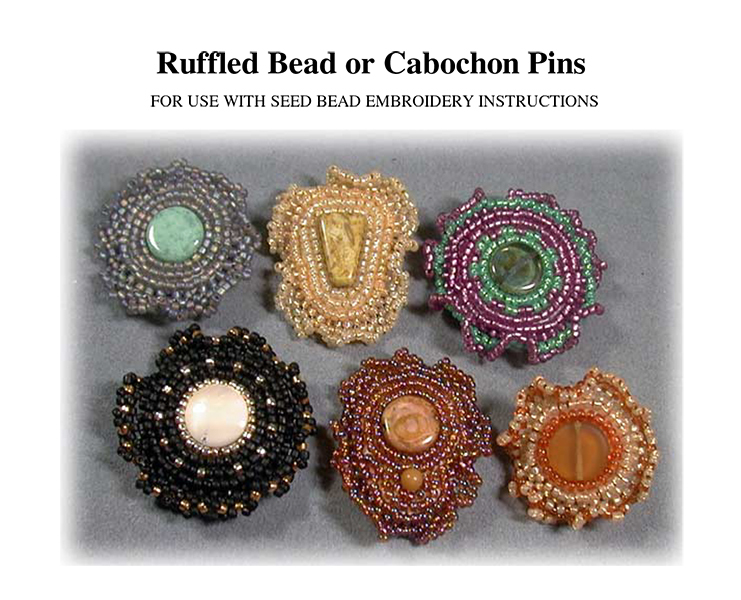 This is another "scrap beading" type of project as it uses very small quantities of seed beads. The instruction set has loads of hands-on photos so it will not be a quick download to print! !